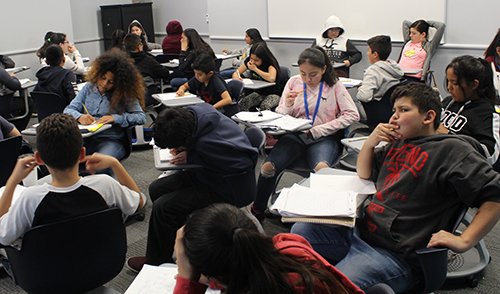 UC Merced’s Center for Educational Partnership (CEP) has collaborated with four local school districts to launch a series of Saturday math academies at the UC Merced campus. 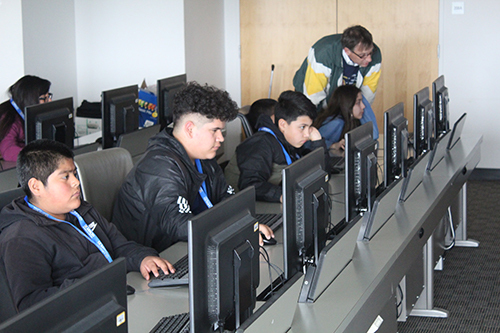 To help prepare middle-school students for the California Assessment of Student Performance and Progress (CAASPP), UC Merced’s Center for Educational Partnership (CEP) collaborated with four local school districts to launch a series of Saturday math academies at the UC Merced campus. The academies began late last month and run for eight weeks. More than 300 students from Delhi, Le Grand, Cutler-Orosi and Golden Plains school districts are participating, with 52 students attending academies at Fresno Pacific University. The collaboration and academies are funded by GEAR UP, Talent Search and Upward Bound Math and Science grants from the U.S. Department of Education. The academies are designed to address students’ preparation in mathematics to ensure they each receive a performance rating of “met” on the upcoming CAASPP. “The academies offer students an opportunity to reach their academic potential and commit school partners to sustain these efforts beyond the grant cycles,” CEP Director Orquidea Largo said. 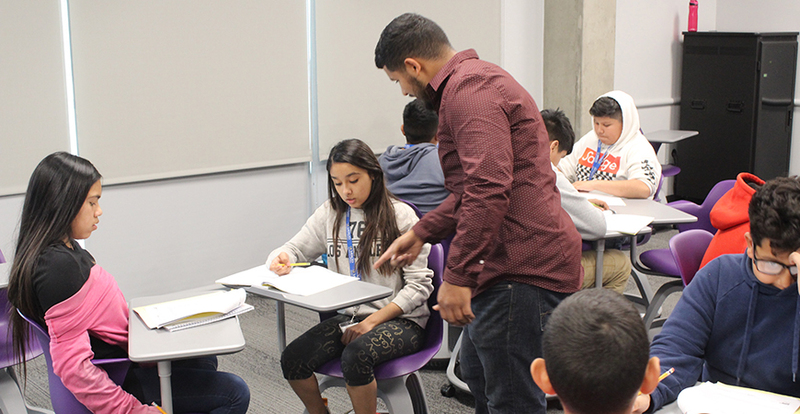 More than 300 students are taking part in a series of Saturday academies designed to help students prepare for mathematics on the upcoming CAASPP. The CEP remains steadfast to serve as a change agent at K-12 partnership sites to help advance the college and career readiness of middle- and high-school students. Academies are intended to be short-term interventions for students with the potential to excel if given supplemental academics. For more information, contact CEP’s main office at 559-241-7476. The Saturday academies began late last month and will run for eight weeks.